Kumaun University, Nainital invites applications for the recruitment of Clerk & Fourth Class Employee at SC/ST Net Coaching Center Bhimtal. This post is purely on contractual basis Kumaun University has released advertisement for filling up 04 vacant seats of Clerk & Fourth Class Employee for a selected time period. 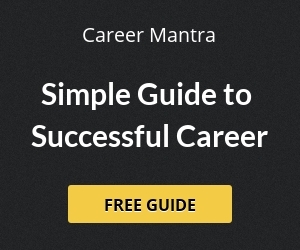 Clerk 02 Candidate must have passed class 12th from a recognized Board. Fourth Class Employee 02 Candidate must have passed Class 5th. The selection of the candidates will be based on `Walk-in-Interview’ scheduled to be conducted at the SC/ST Coaching Center, Kumaun University, Bhimtal Campus. 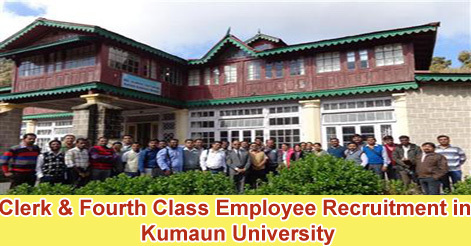 Help us to improve this article/job posting "Clerk & Fourth Class Employee Recruitment in Kumaun University". We would be glad if you can comment below and provide your valuable suggestions and feedback. If this page have any wrong information/list or out of context content, then you can report us as well.